Ryan has been a professional entertainer for over 20 years, performing across five continents as a singer, actor and dancer. After graduating from Ryerson Theatre School in Toronto, Canada in 1991, Ryan went on to spend three seasons at Canada's world-famous Stratford Festival, appearing in eight productions. He has acted in many international TV ads, TV series, as well as short and feature films. As singer, Ryan has sung alongside Anthony Warlow and Caroline O'Connor in Man of La Mancha (where he also played Spanish guitar), been the Jazz singer voice of Fantastic Furniture ads, worked as a freelance singer on a variety of musical and pop projects, and was a back-up and lead vocalist on 14 Wiggles CDs and DVDs. Ryan also toured live all around with The Wiggles for six years as the Red Wiggle understudy, where he continued to hone his singing and guitar playing skills. Influences: Pink Floyd, Uriah Heep, Deep Purple, Led Zeppelin, Jethro Tull and Eric Clapton. Peter's passion for playing guitar began in High School, where, with Classical Guitar foundations, Peter joined friends to start a band. He has continued playing and enjoying the music ever since! Peter has played in many bands over the years which have been heavily influenced by the 60's and 70's music. 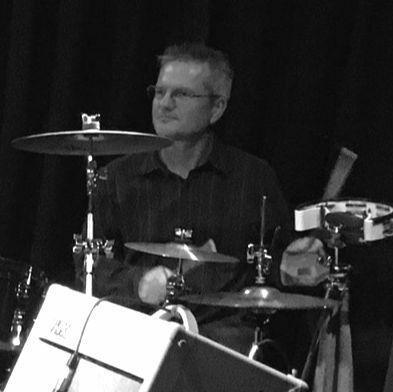 Peter taught at Asquith Boys High School in the northern suburbs of Sydney for over a decade, and in his time there he tutored and formed a number of bands with the students. Perhaps the most successful of these being "Sixes and Sevens", again playing that 60's and 70's music. Peter has also played lead guitar in numerous stage productions and musicals, with Grease being a personal highlight. Pete enjoys sharing his passion for music, infecting the audience with his love of Rock and Roll! Drawn to the bass at the age of 14 Nic previously dabbled with piano, guitar, sax and drums but stuck with the low frequencies. "I love the way the bass moves people when you play live and brings the band together building a solid foundation for others to build upon." 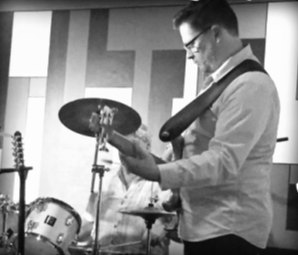 Nic is a versatile musician and has performed in a wide variety of musical contexts since the age if 14 including: jazz ensembles, rock, blues, orchestras, big bands and most extensively with gospel music. "I especially enjoy the audience participation and draw from the energy they provide. I have a huge satisfaction in entertaining and providing an enjoyable night for the crowds, not to mention the fun of banging out awesome tunes with your mates!"